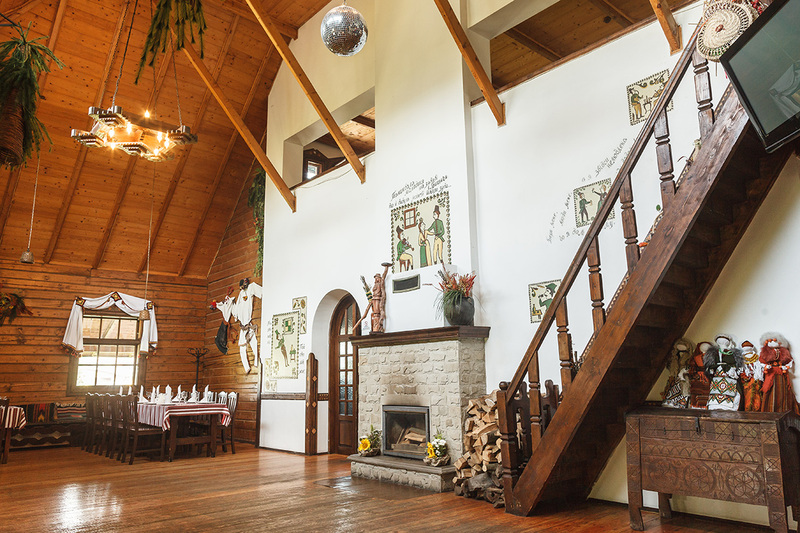 A big festive hall with kids’ corner, all up to 100 people, stylishly decorated Hunter’s hall with a fireplace for up to 40 people, a second-floor hall for up to 30 guests are at your service. 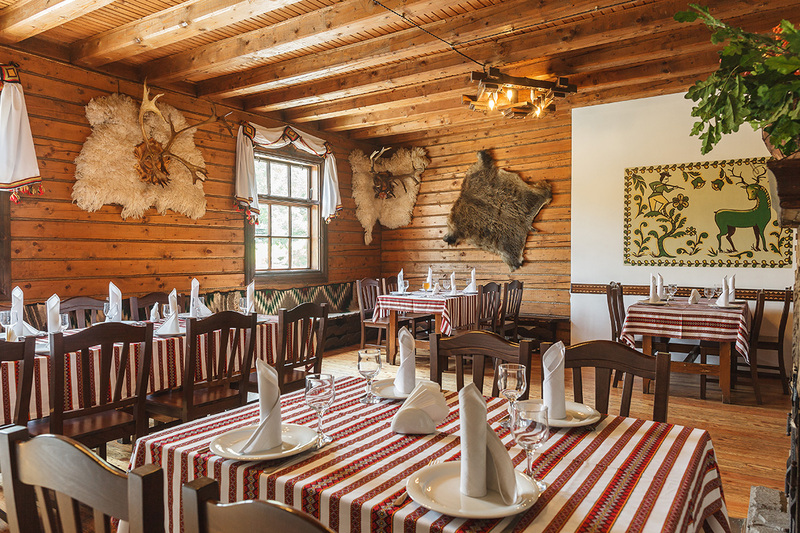 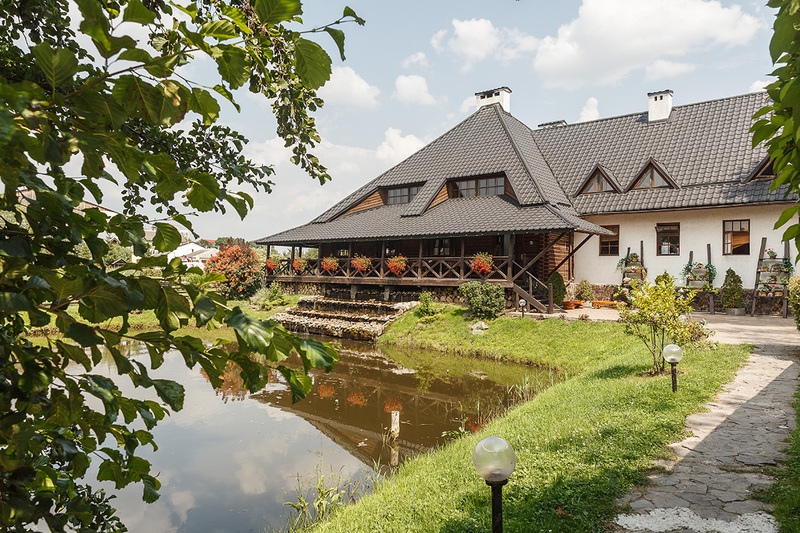 There’s a hutsul “shopka” place for up to 70 guests nearby the restaurant. 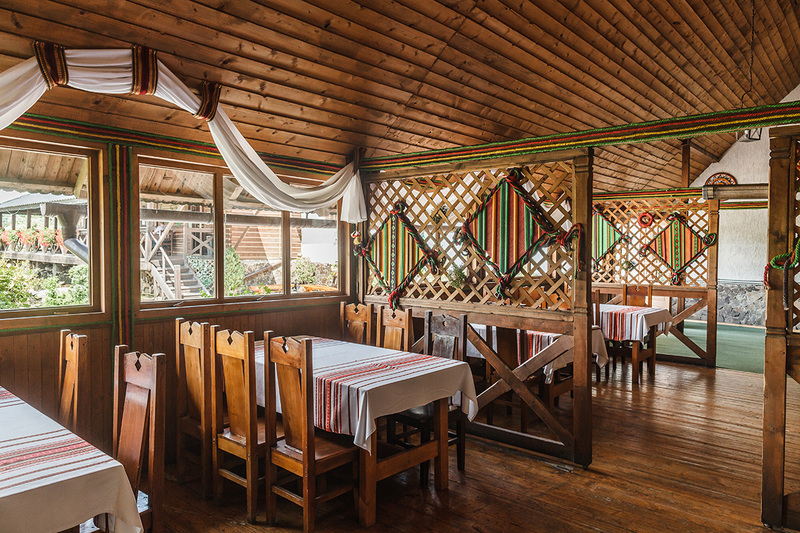 We invite our guests to an outdoor terrace to truly relax from everyday life concerns, with a favorite drink, and enjoying a wonderful sunset view. 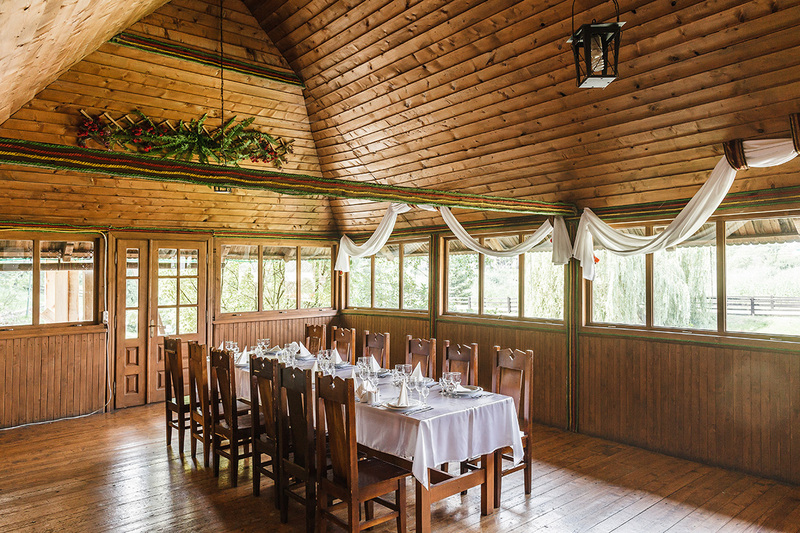 Our restaurant is a perfect place to celebrate weddings, banquets, corporate parties, and romantic evenings. 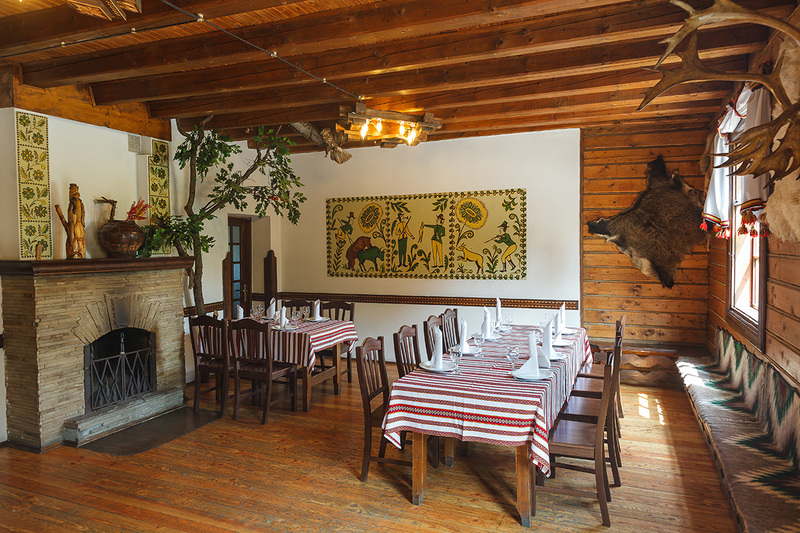 Here’s the place where coziness and festiveness go together, and the menu combines both traditional Ukrainian and delicious European meals. 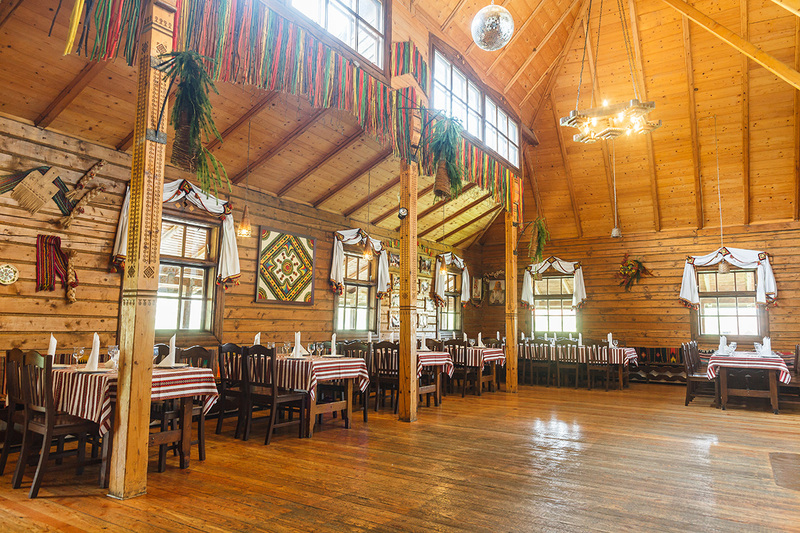 A banquet cost ─ up from 350.00 UAH per person.